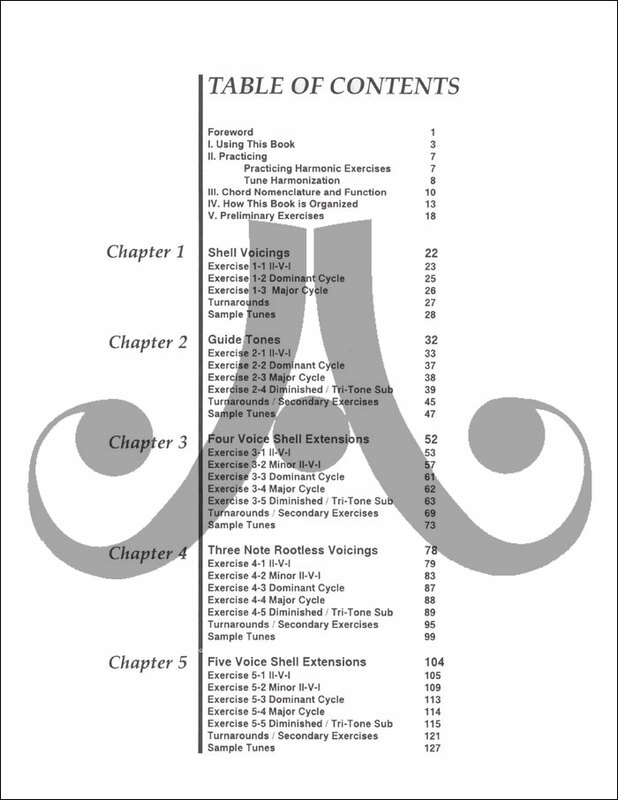 Large 248 page spiral-bound book and CD. 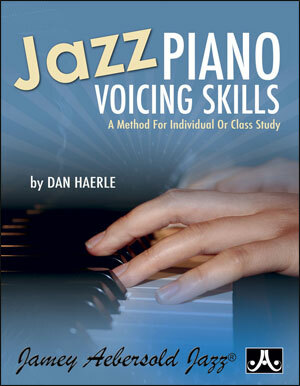 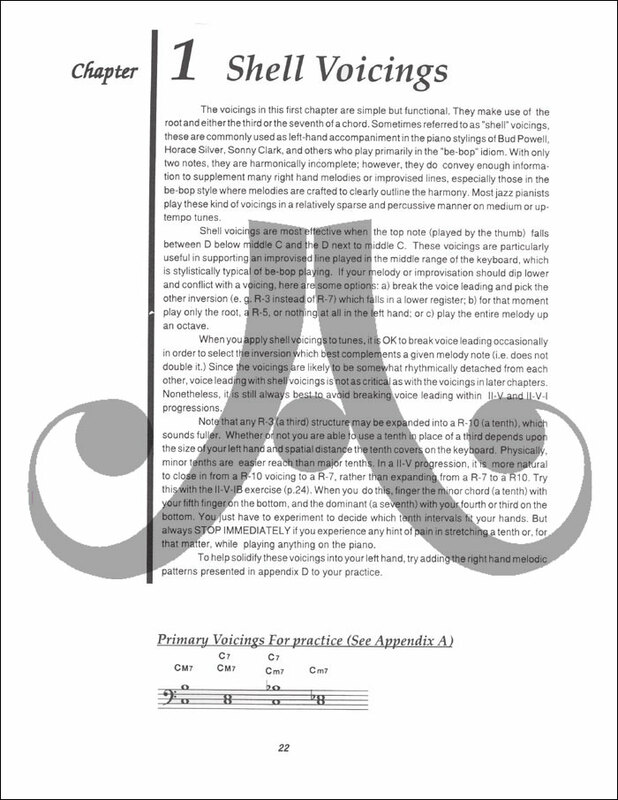 A practical and systematic method that teaches how to practice jazz piano voicings so that they become automatic and intuitive. 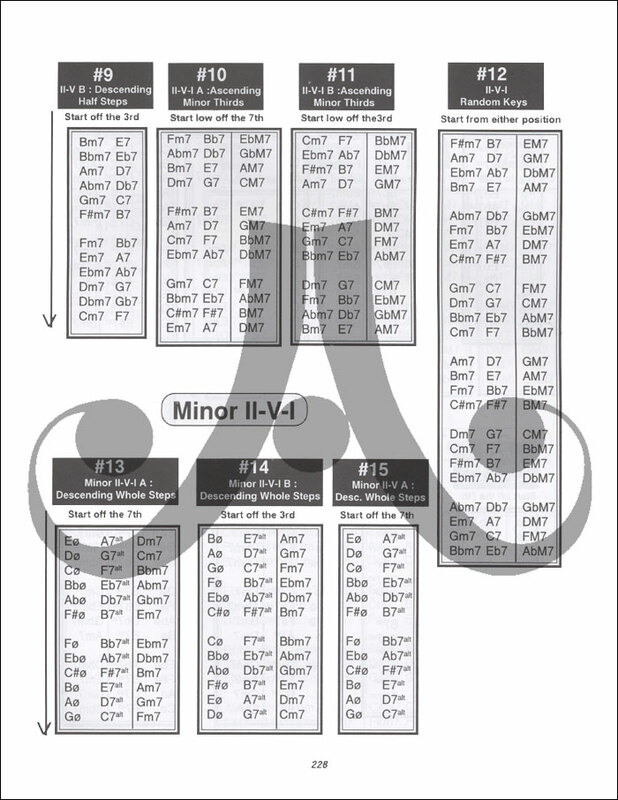 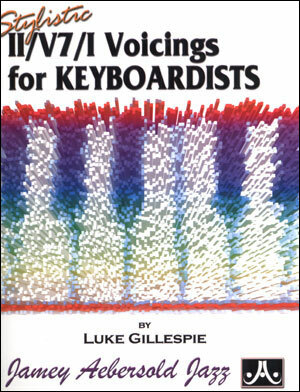 The method progresses step by step from 2-voice to 7-voice chord structures with fourths and upper-structure triads. 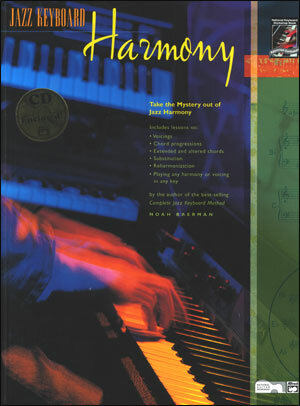 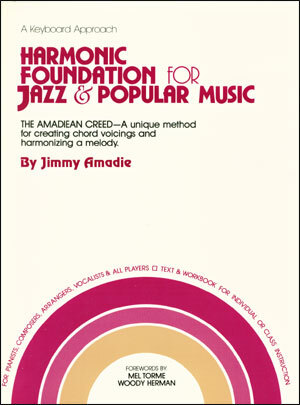 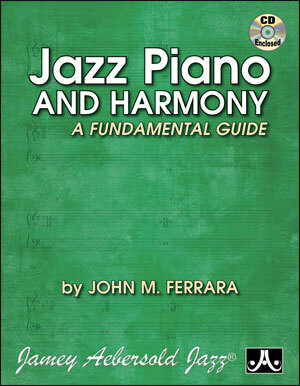 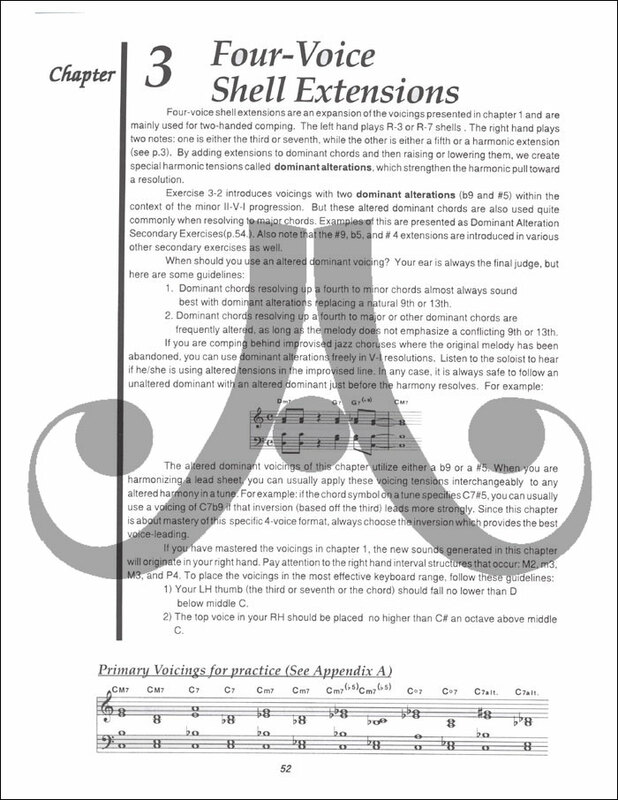 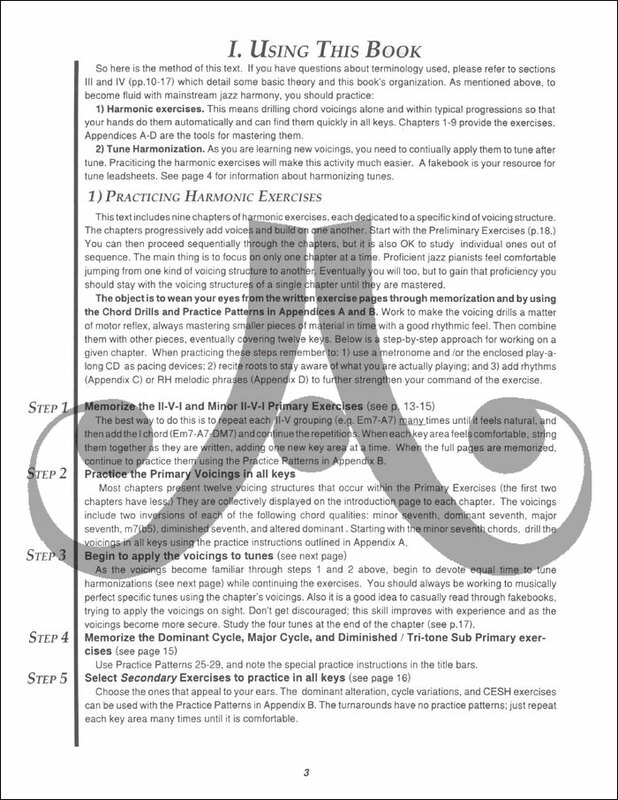 Each chapter presents essential harmonic progressions written and spelled out in all keys, along with fingerings to help non-keyboardists. 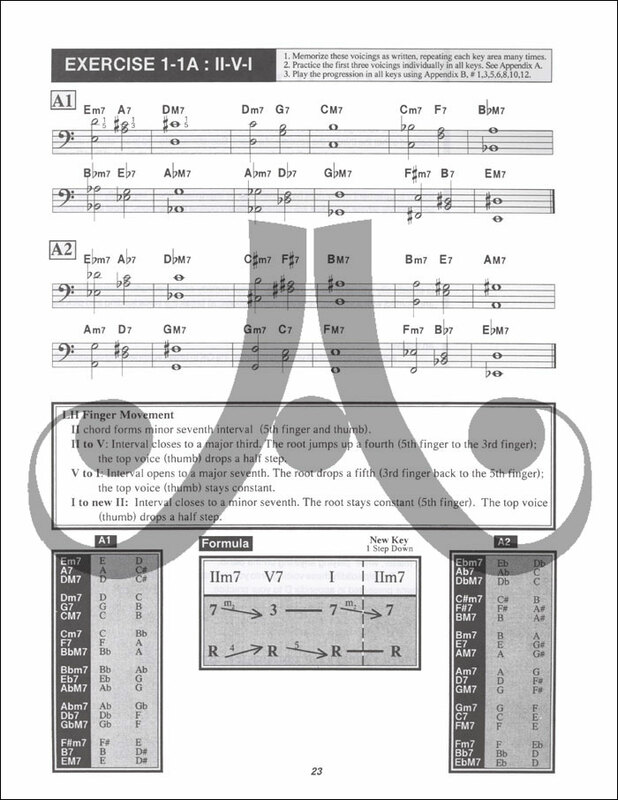 Also provided are songs, written out for both hands, which utilize the techniques and voicings just learned. 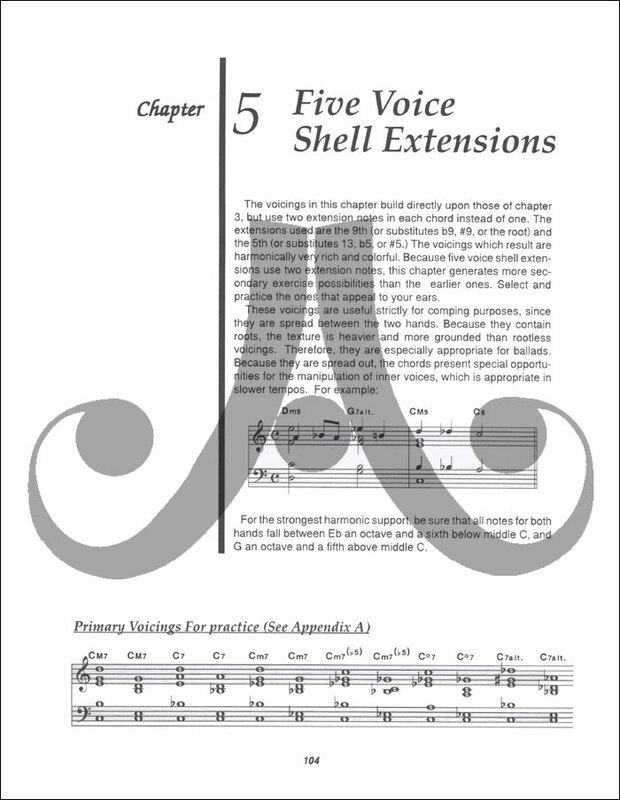 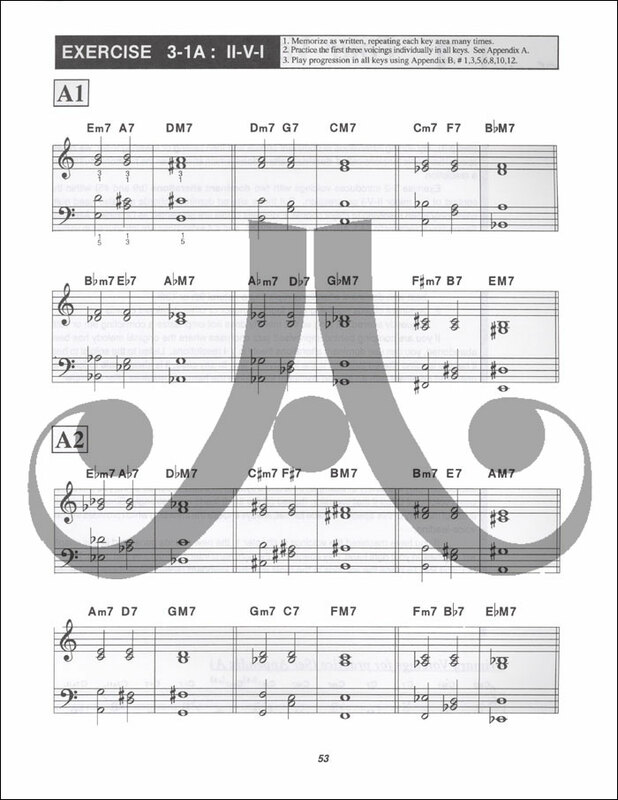 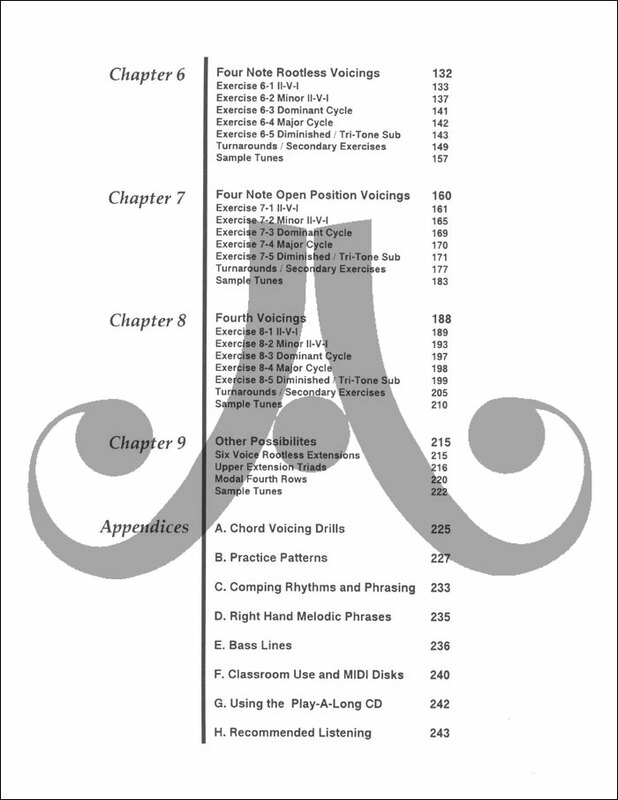 Includes comping rhythms, bass line techniques, and practice strategies. 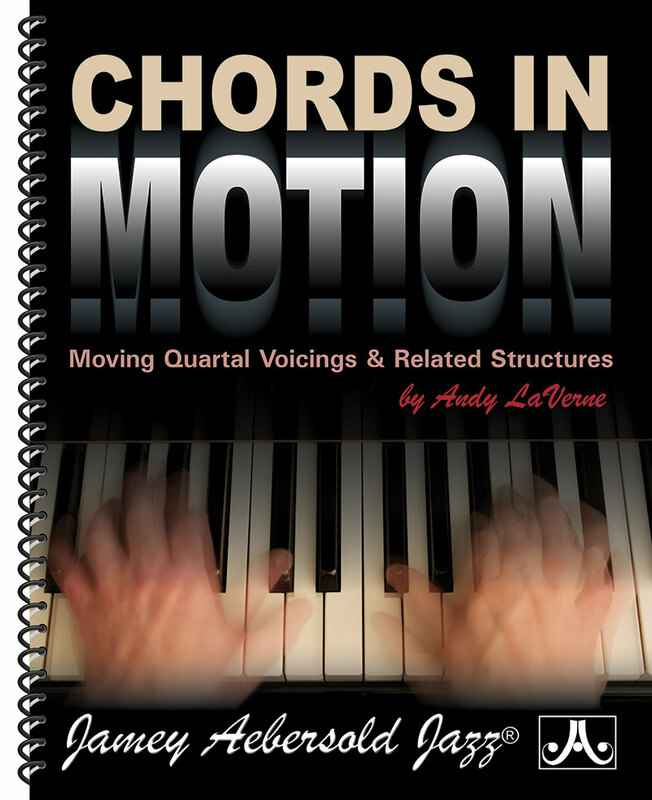 Excellent for both classroom and individual study. Strongly endorsed by Mark Levine, Bobby Shew, Denis Diblasio, and many others. 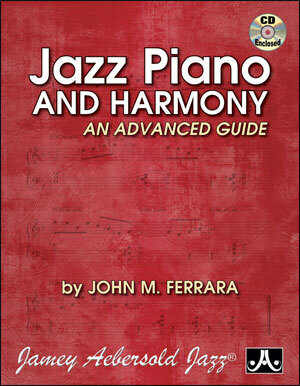 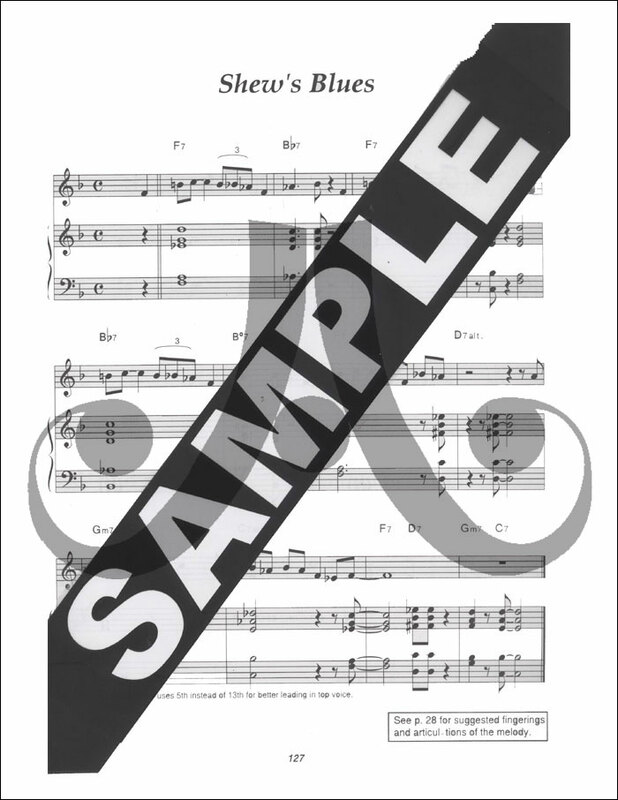 The included Play-a-long CD lets you practice the piano exercises in the book with bass and drum accompaniment; you can also practice comping along with a saxophone soloist. 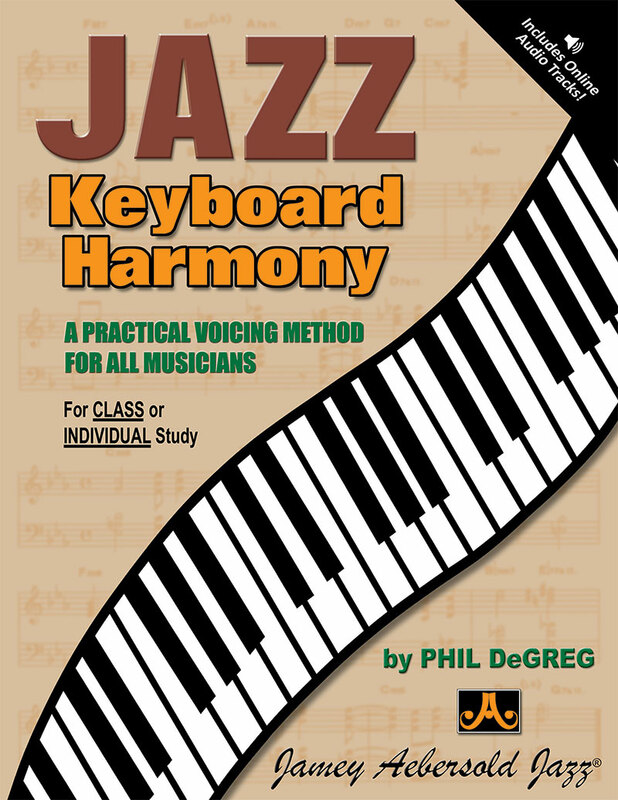 A demonstration piano track on one channel, played with a stylistic comping feel, gives you an idea of how the piano voicing exercises should sound.